I have now used up my first 3-day gym pass – I used the gym on Monday, went swimming yesterday, and used the gym again today. Today after my warm up I managed 8.2km in the hour, which was more than Monday so I was happy with that. Although it really hurt and was a massive battle with my head to keep going and actually finish the hour. When I’m on the treadmill and I can see the time/distance counting away there gets a point in the middle that I find particularly difficult. When I’m running outside I don’t get that as much as I have no choice but to carry on – it’s quicker to get home by carrying on than turning around and going back. Although I know that running on a treadmill is easier on the muscles than on the road. Still a long way to go before I can safely say I’ll be able to do the Lincoln 10k in 1 hour on 21st March but hopefully this is a good start. Tomorrow is Thursday and a day off from the gym before I use my second 3-day pass on Friday, Saturday and Sunday. That’s the plan anyway! Oh and the other thing about these trainers is they were a Florida purchase back in 2005 so they have good memories in themselves. 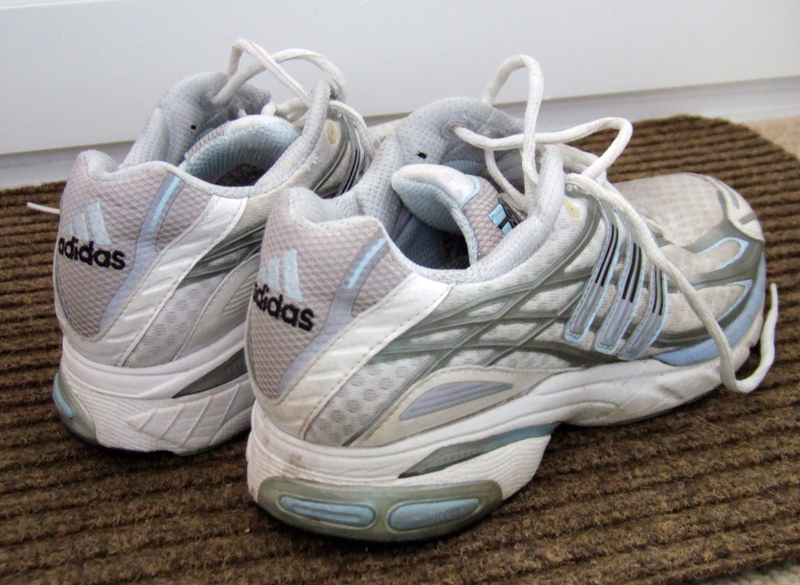 I’ve done every Lincoln 10k so far in them… well worn and very comfy. 27/01/10: These shoes were made for running.